The 1960s is generally understood to be a period of tumultuous social and cultural change, and there are numerous histories and documents that recount the upheaval. As with any accepted historical narrative, alternative versions await to be told. This is especially the case when considering art and media of the 1960s, with Pop Art, media installations, and popular television occupying central and conventional places. Inspired by the Canadian Centre for Architecture (CCA) exhibition The University is Now on Air: Broadcasting Modern Architecture, this panel will explore media ephemera and the newly applied ideas about mass education for a new information society that arose in the 1960s. These everyday and functionalist uses of media shaped the modern world and continue to influence the digital era. Charles Acland is a professor and acting chair in the Department of Communication Studies at Concordia University. 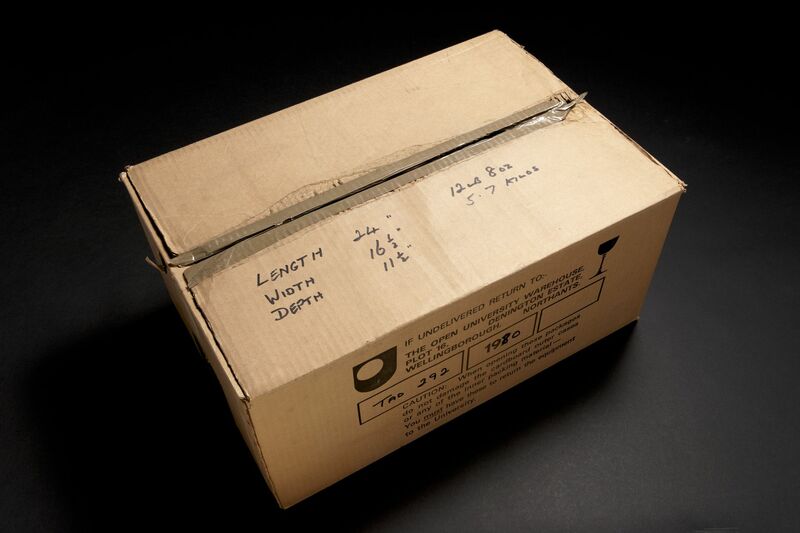 Rick Prelinger is an archivist, writer, filmmaker and outsider librarian. In 1982, he founded Prelinger Archives, a collection of industrial, advertising, educational and amateur films that was acquired by the Library of Congress in 2002. Haidee Wasson is a professor of film studies at the Mel Hoppenheim School of Cinema, Concordia University. 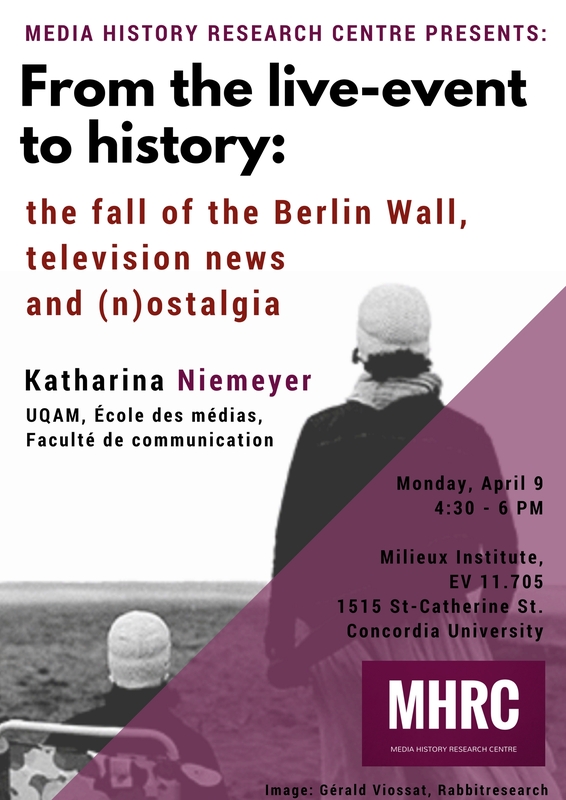 Drawing upon a reflection on different types of historical narratives and memory layers that are shaped and created by television news, Katharina Niemeyer will discuss the transition from the live-broadcast event of the fall of the Berlin Wall, to televisual forms of commemoration and forgetting, and continue through to expressions of ostalgia (the nostalgia of the East) in media cultures and in current online communities. This talk will focus on theoretical concepts and reflections developed by historians, philosophers and media scholars on time, media events, memory and history and puts them in relation to the media-temporality shifts of the last thirty years. An intriguing figure in the history of American journalism, Franklin Ford (1849-1918) was a journalist, a media theorist and an entrepreneur who devised grand plans about the future of journalism and the impact of communication technologies on society. 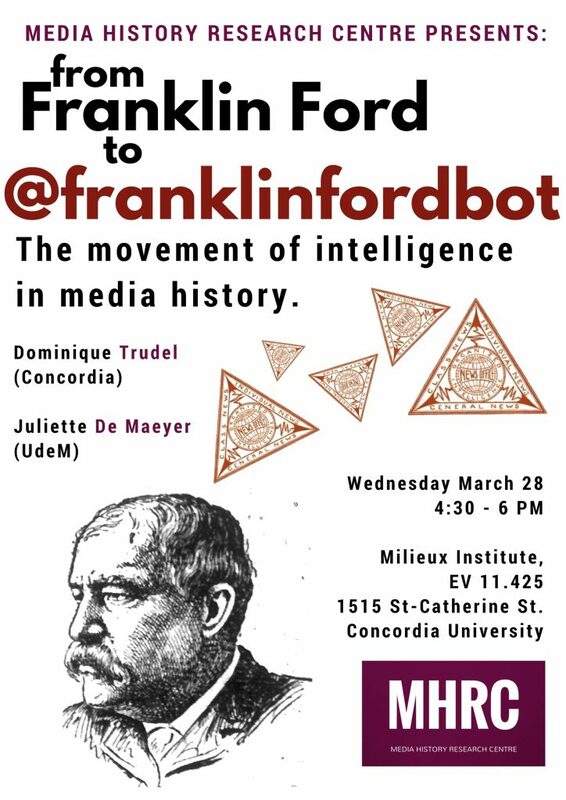 This talk outlines the contribution of Ford to the history of media and communication research, and particularly explores how the remediation of a Twitter bot is a useful instrument to revisit Ford’s legacy.